Does Claude Have Spring Fever? I want to thank Claude for the wonderful interview he did. He really helped me a lot with those award nominations! In case you don’t know who Claude is, here’s a picture of him relaxing at home. And now it seems Claude has been inspired to speak up after almost a year. (I suspect he may be inspired by his latest crush, Flat Kathy!) I’m so glad he’s back! Since you all seemed to like Claude’s interview so much I thought I’d share the short fiction he wrote for the WordPress Daily Prompt today. 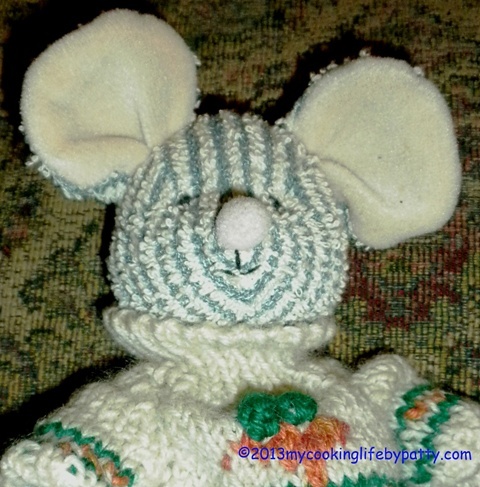 This entry was posted in Admiration for the Talents of Others, Friendship and tagged Claude Mouse, Daily Prompt, inspiration, short fiction, spring fever by mycookinglifebypatty. Bookmark the permalink.